The Central Vermont Regional Planning Commission (CVRPC) is seeking an Assistant Planner to complement our team of professional staff. The Assistant Planner will work with other staff and municipalities on projects including municipal plans and bylaws, housing studies, natural resource programs, and development review. Candidates must be able to speak in public, attend evening meetings, read and write well, and have good interpersonal skills. Candidates must also have a degree in planning or related field, experience in regional or local planning, and knowledge of Vermont land use statutes. Persons interested in applying for the position should submit a cover letter, resume, salary expectations, and three references to cvrpc@cvregion.com or to: Susan Sinclair, Executive Director, CVRPC, 29 Main Street, Suite 4, Montpelier, VT 05602. Position is open until filled. CVRPC is an Equal Opportunity Employer. The Vermont Department of Environmental Conservation‘s Ecosystem Restoration Program, in partnership with Watershed Consulting Associates, is offering five webinars as part of a series that will share several different model templates for developing stormwater master plans for a variety of different sites or communities. Each webinar will discuss methods, the types of communities that should consider each template, and funding sources that each template is eligible for under State of Vermont funding guidelines. The series is limited to 100 participants. Register now, it’s free! Or view the series in the conference room at our office on Main Street in Montpelier. We are all signed up so if you choose this option no need to register! Questions? Contact Justin Kenney at Justin.Kenney@state.vt.us. Capstone Community Action is kicking off their Button Up Video Contest on September 2 in order to promote energy efficiency and weatherization leading up to this year’s Button Up Vermont Day of Action on November 1. The organization is calling for video submissions that will inspire viewers to make weatherization improvements to their homes, lower their heating costs, and lessen their environmental impac ts! Submissions will be accepted until October 19. Entry is absolutely free and prizes will be awarded in a variety of different categories. Contest details, rules, and more information can be found at www.buttonupvt.org. All styles are eligible and the videos will be available on the contest’s website (www.buttonupcontest.org) for public viewing. Both individual and collaborative submissions will be accepted! Clubs, classrooms, local energy committees, senior centers, and any other groups are encouraged to enter! For more information, visit www.buttonupvt.org, like Button Up Vermont on Facebook, check out the Button Up Contest on Twitter and Instragram, or contact Michael Levine, Button Up Contest Director, at bu@flywheelvt.com. Governor Shumlin announced on Tuesday that $2.4 million in tax incentives has been allocated to 37 construction and rehabilitation projects in downtowns and village centers throughout the state. The Central Vermont communities of Barre, Calais, Montpelier, and Waterbury will all receive these credits, which are proven to boost employment and housing and spur new business development. Barre: The façade of the historic commercial building located at 75 North Main Street will be repaired and repainted. New storefront windows and awnings will also be installed. Total project cost– $35,047; Tax credits awarded– $8,519. Calais: The Maple Corner General Store located at 31 West County Road will undergo repairs to the façade and an expansion that will allow for the opening of a new restaurant/cafe within the store. Total project cost– $92,712; Tax credits awarded– $4,536. Montpelier: The historic property at 39 Barre Street, which currently houses nine affordable apartments, will be renovated to meet current building codes and improve its energy efficiency, while still maintaining the building’s historic charm. Total project cost– $2,116,094; Tax credits awarded– $78,719. The historic French House located at 132 Main Street will undergo renovations to include finishing the third story of the house, including a mandatory fire exit, and restoring the building’s portico to historic preservation standards. Total project cost– $215,619; Tax credits awarded– $28,155. Waterbury: The building at 1 South Main Street recently underwent repairs to bring the upper floor back into a productive state. Total project cost– $135,000; Tax credits awarded– $32,583. The building located at 3 Elm Street, which was formerly an auto-parts store, was left vacant following Tropical Storm Irene. It has recently been rehabilitated to include new utilities, a sprinkler system, and other code improvements. Total project cost– $121,447; Tax credits awarded– $34,623. To view a list of additional projects in other parts of the state that received tax incentives, click here. 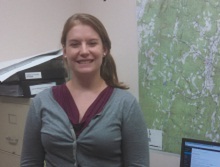 Welcome Emily, New AmeriCorps VISTA! Please join us in welcoming our second-year SerVermont AmeriCorps VISTA member, Emily Nosse-Leirer, who will be serving as Community Engagement Coordinator for the Plan Central Vermont project. starting August 11. Emily joins our office by way of Columbus, Ohio where she recently completed a Master’s Degree in Geography with a concentration in Urban, Regional and Global Studies at Ohio State University. Her work will include coordinating and implementing various stakeholder and community engagement activities related to Plan Central Vermont with a particular focus on issues associated with alleviating poverty in Central Vermont, including: economic opportunity, transportation, affordable housing, environmental justice, and food security. In her free time, she enjoys reading and being outside. She is looking forward to getting to know the community and exploring the region. Emily can be reached at nosse-leirer@cvregion.com. CVRPC’s Town Plan Review Committee will be convening on Tuesday, August 19 at 4pm to review the adopted 2014 Roxbury Town Plan and then again on Thursday, September 4 at 4pm to review the adopted 2014 Barre City Plan. The meetings will be held at CVRPC offices, 29 Main Street-Suite 4 in Montpelier. For more information, please contact Stephanie Smith at 229-0389. 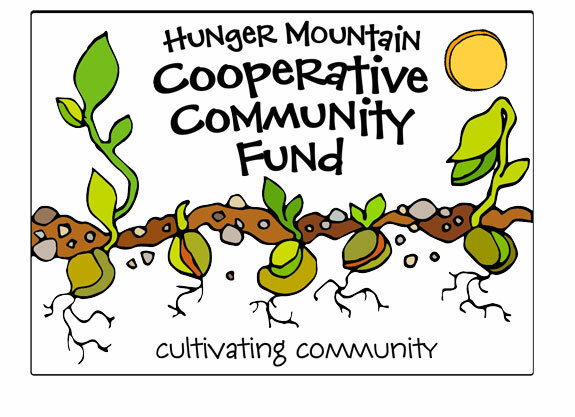 The Hunger Mountain Coop Community Fund is now accepting grant applications from local businesses, organizations and initiatives that are doing work to enrich the Central Vermont Community and further The Coop’s Mission of building a dynamic community of healthy individuals, sustainable local food systems and thriving cooperative commerce. Applicants must submit their application by September 15th! The most recent round of Clean Energy Development Fund awards were announced on Wednesday at Northern Reliability’s test facilities in Waitsfield. Nine solar developments throughout the state received funding, including projects in Waitsfield, Warren, and Berlin. Waitsfield—received $80,000 to install a 100-killowatt solar array on the town garage that will supply power to the town’s municipal buildings, including the fire station, elementary school, town office, and library. Warren—received $80,000 to install a 162-killowatt solar array on town land near the elementary school. Berlin—received $20,000 to install a 16.8-killowatt solar array on the rooftop of the town office building. The news conference on Wednesday was the last stop on Governor Shumlin’s “Solar Summer Tour,” where he has been showing support for the state’s transition to renewable energy generation and the resulting job creation.